For as long as he has played the game of hockey, even the days before he became an NHL captain, Eric Brewer has always been the level-headed type. He was tabbed as a future big-league leader years before he suited up in the NHL, a player that combined superlative on-ice skill with solid leadership qualities, all of which made him a highly sought after talent. (WHL) West Second All-Star Team and the Western Conference roster for the 1998 WHL All-Star Game (although he missed the game due to injury). In his sophomore WHL season, Brewer became a leader on the Cougars' blue line. He was named to play for Team Orr in the 1997 CHL Top Prospects Game in February 1997 at Maple Leaf Gardens. He doubled his point total from the previous season, finishing with 29 points in 71 games played. Brewer followed his regular season by helping the Cougars go on a spirited playoff run. After clinching the last spot in the West Division with a losing record, the Cougars defeated the number-one seed Portland Winter Hawks in the conference quarterfinals and the third-ranked Spokane Chiefs in the conference semifinals before finally falling to the second-ranked Seattle Thunderbirds in the Western Conference final. He recorded six points in the Cougars' 15 post-season games. Brewer's final season with Prince George was his best, statistically, in the WHL. After representing Canada at the 1998 World Junior Ice Hockey Championships, he was named to the Western Conference team for the WHL All-Star Game in Regina, Saskatchewan, which he missed, as well as much of the season, due to injury. However, he completed the year with 33 points in only 34 games, and was selected to the WHL West Second All-Star Team. He was the highest ranked defenceman at sixth overall among North American skaters heading into the 1997 NHL Entry Draft, where he was selected fifth overall by the New York Islanders. 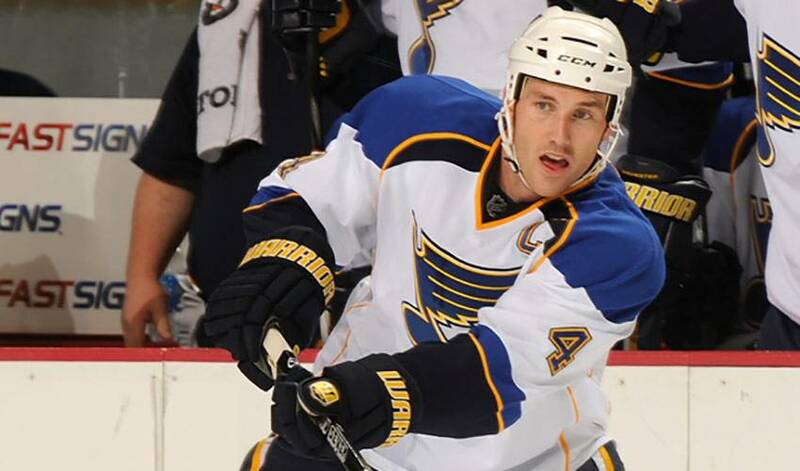 Brewer has spent parts of his nine-year NHL career with the Islanders, the Edmonton Oilers, and, for the past six seasons, with the St. Louis Blues. Brewer considers himself lucky to have played alongside some of the game's most respected veterans during his formative NHL years. Brewer found himself in a familiar situation during his days with the Oilers. He's no doubt enjoying his time in St. Louis, a team that has gone through some lean times, playoff-wise, in recent years. But all signs point to the Western Conference club being on the right track in 2010-11. And the man wearing the ‘C' on his jersey is none other than Brewer, who, on February 8, 2008, was named the nineteenth captain a role he cherishes and one he takes very seriously.